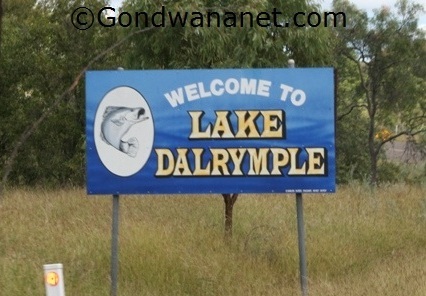 Lake Dalrymple is one of the largest lakes in Queensland. It is a man made lake four times larger than Sydney Harbour. 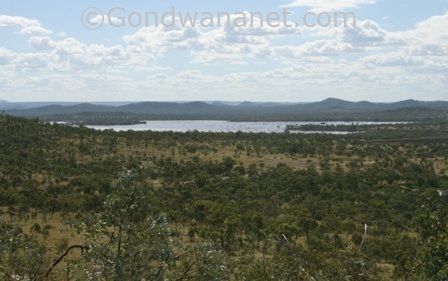 It is 80km south of Ravenswood near Charters Towers, inland from Townsville in north Queensland. The lake covers an area of 22,400 hectares, has a depth of 8.3 metres in average, and can hold almost two million megalitres of water. 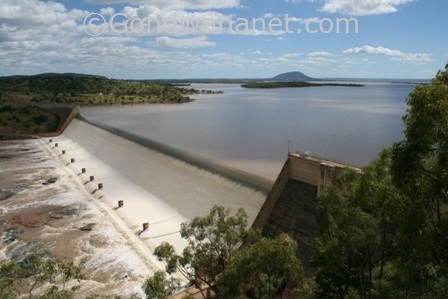 It is created by the mighty Burdekin Falls Dam. The lake is popular with fishing, water sports and other activities. There is a boat ramp and there are no restrictions to boating activities. There is a camping ground but no fuel or shopping. Here's a map of the area. You can double-click anywhere on the map to zoom it in and see the places closer. Drag the map to move around, and if you want to see the satellite image with Google Earth, click on "Sat" in the top right hand corner.